The New Albany Farmers Market, is the place to be on delightful Saturday mornings. Join us Thursdays at Market Square from June 21st until September 6th. 4:00 pm – 7:00 pm. You will be able to enjoy seasonal offerings, beautifully handcrafted artisan products, an inviting array of produce, fresh baked goods, savory pastries and locally made honey, coffee and more. All at Market Square, located at 200 Market Square, New Albany, just a short walk across the parking lots from the Heit Center where the indoor market is held. Your experience will be enhanced by good foods, smiling shoppers and a community experience like no other. Our mission is to provide the community with a venue encouraging awareness and use of locally grown and produced goods that promote healthy eating. Enjoy the Heit Center – explore the Fitness Center and all the classes Healthy New Albany has to offer! 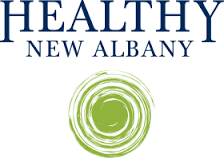 Stay in the know with Healthy New Albany.